As Rick's wife (and the unofficial "First Lady" according to Carol Peletier), Lori occupies a precarious position within the Group. Her divided loyalties create a certain amount of friction. And attempting to maintain a reasonably normal life for her son Carl easily becomes a crushing burden. With Sophia's loss and Carl's accident during the herd attack comes new stresses and challenges. 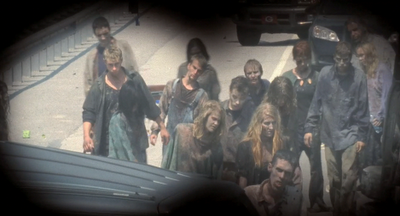 The knowledge that their Group is isolated and that no outside help will ever arrive causes further feelings of hopelessness within Lori as well as the other Survivors. Though she does her best to create a life for her family and friends, the divisions caused by her affair with Shane cannot be easily repaired. The love triangle's existence in the face of the world-wide Apocalypse does not allow for feelings to be discussed or dissected. 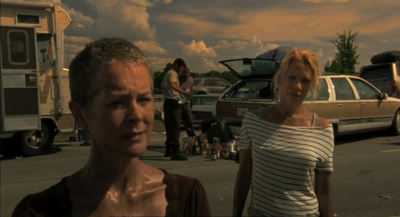 Much remains unsaid and the secrecy threatens both the Grimes' marriage and the survival of the Group itself. 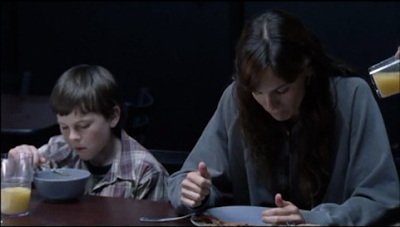 The WDSCB presents Apricot-Cherry Slump in recognition of Lori Grimes. Two opposite flavors combine with a classic Georgia recipe to create a memorable dessert. Each fruit alone would be forgettable but together they become greater than the sum of their parts. 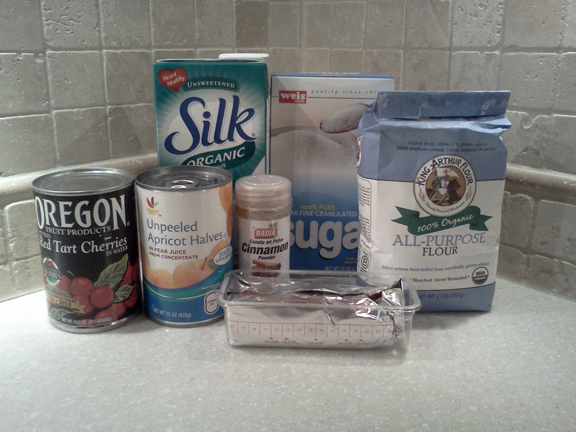 Combine flour, baking powder, salt, sugar, spices, soymilk and shortening in a medium bowl. Stir until combined. Set aside. In a Dutch oven (with a tight-fitting lid) combine the can of cherries (undrained) and the can of apricots (drained). Stir in 1/2 cup sugar until dissolved. Bring to boil (over medium heat or medium coals). Simmer for 2 minutes. 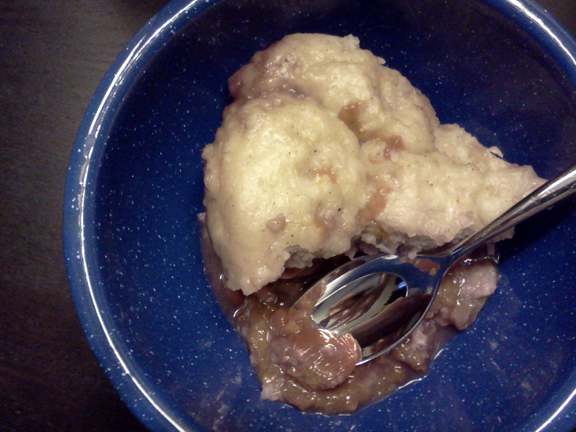 Working quickly, drop spoonfuls of the batter into the fruit mixture to form dumplings. Cover with the tight-fitting lid. Simmer gently for 15 minutes. It is VERY Important that you do not peek! After 15 minutes, check dumplings. They should be firm and feel dry to the touch. 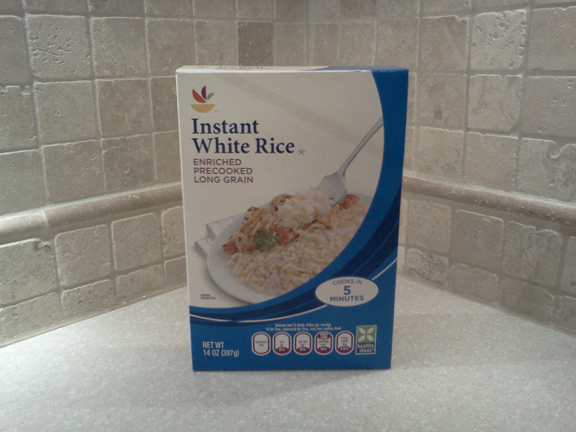 If needed, you may replace the lid and steam for an additional 5-10 minutes. Serve immediately. 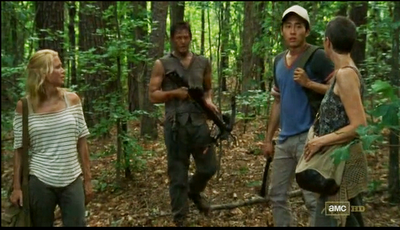 Rick carries the gravely injured Carl to the farm of Hershel Greene. 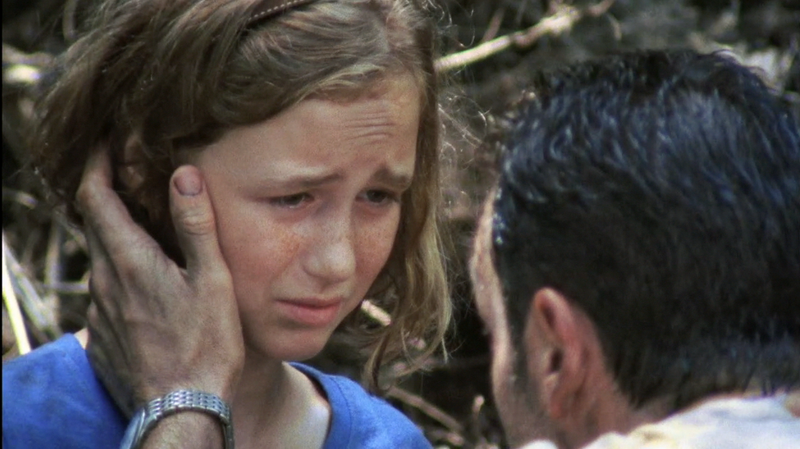 Hershel, a veterinarian, does his best to aid the boy. Carl's life hangs in the balance but without the necessary medical equipment, no surgery can be performed. Shane and Otis (the hunter responsible for the accident) leave to get the needed supplies from a nearby FEMA shelter. Hershel's oldest daughter Maggie (aka Zorro) rides into the woods on horseback to find Lori and bring her to her son's bedside. 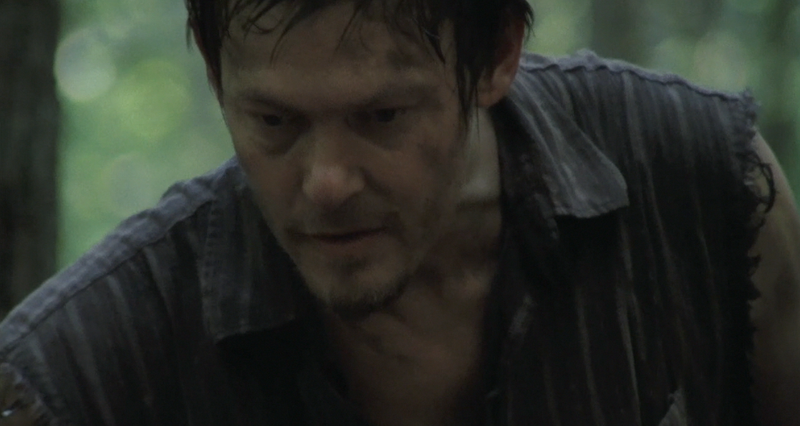 While Daryl leads the search for Sophia, Dale learns T-Dog has a septic infection from the wound he received while avoiding the wandering highway herd of Walkers. 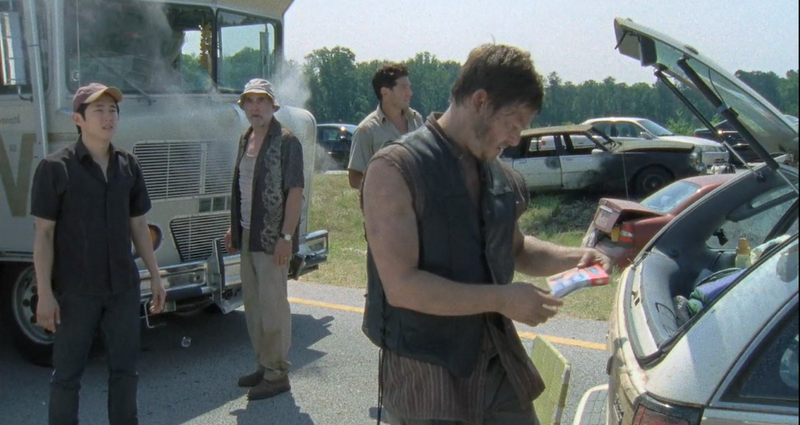 Once the Group reunites, Daryl shows his true colors by sharing antibiotics with T-Dog and volunteering to stay behind and secure emergency provisions for Sophia. Glenn agrees to drive the ailing T-Dog to the Greene farm as darkness falls. That night, with just Andrea, Carol and Daryl in the RV, Dale would quickly do an inventory of their remaining pantry provisions. 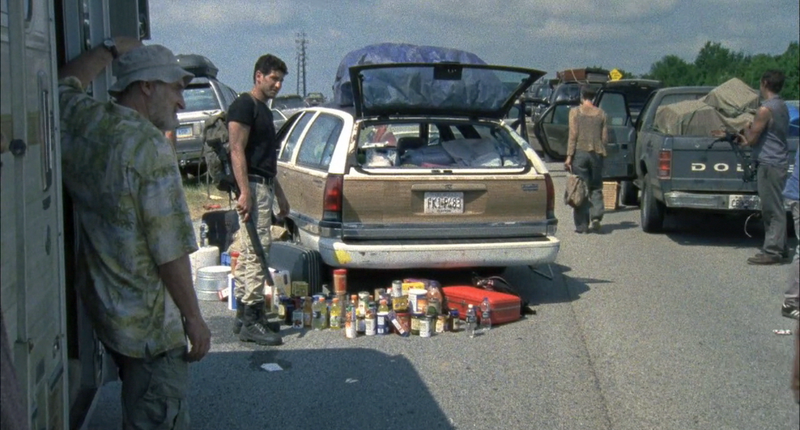 Using what the Group was able to scavenge from the highway vehicles, Dale would no doubt cook Highway Étouffée. As a longtime camper, Dale knew all the tricks to combine canned foods and spices into a nutritious and delicious dinner. 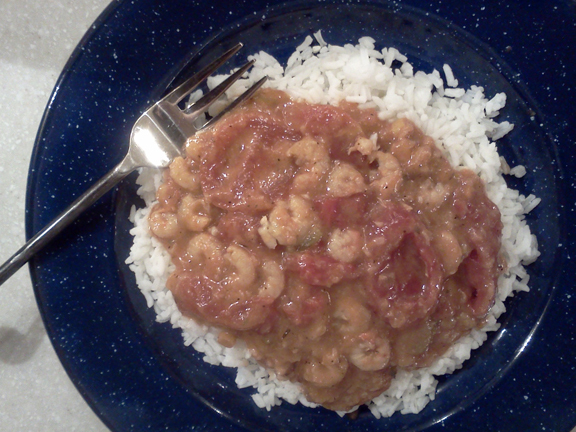 The WDSCB knows this Étouffée will become a popular menu item with all Survivor Groups. No matter what the Walker counts are in your area, a protein rich dinner will give you the necessary energy to hold the line. And when the dead rise; Be Zen. In a large Dutch oven (over low-medium heat or coals) mix together oil and flour. Stir constantly and cook for 10 minutes or until the color of peanut butter. Stir in shrimp (undrained), vegetable soup, stewed tomatoes and spices. Add 1/2 cup of water. Cook and stir until soup comes to a gentle boil. Let simmer for 2 minutes. If étouffée is too thick, add more water a few tablespoons at a time until the thickness suits your taste. 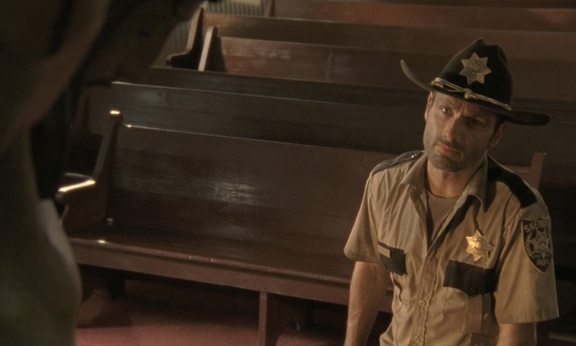 As the leader of the Atlanta Survivor Group, Sheriff's Deputy Rick Grimes has his hands full. 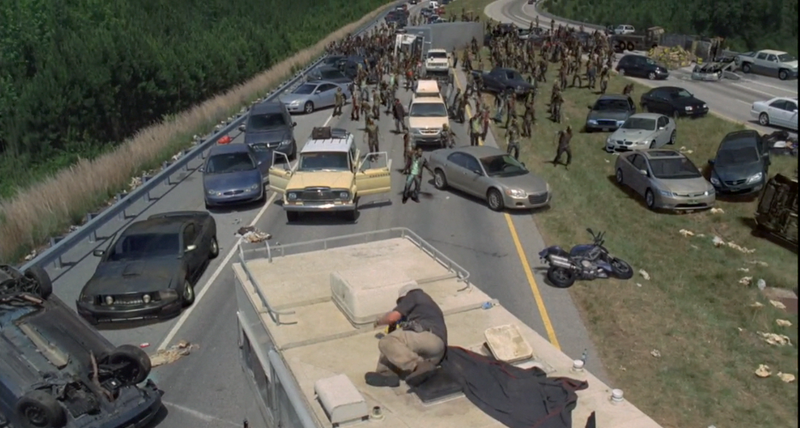 Dealing with the Walkers, while coping with the emotions and internal strife of the Group quickly takes its toll. His wife's infidelity with his best friend and partner, Shane Walsh does little to lighten the load. The fact that he spent the early days of the outbreak in a coma makes his hopeful outlook and faith in humankind all the more unusual. Rick's patience and long-suffering attitude earns him the respect of the entire Group. We wonder what Rick's early life was like and how it prepared him for being a leader after the governments of the world fell. 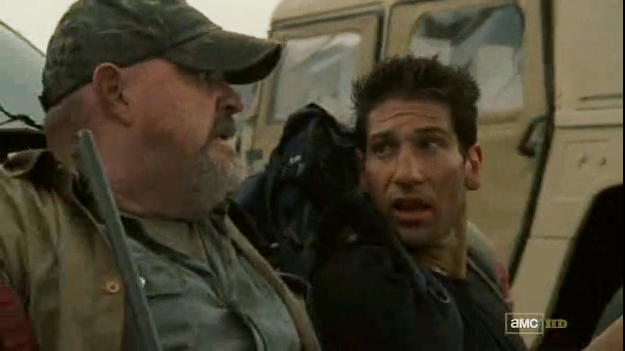 As a Southerner, Rick likely had always been taught the importance of fine manners. His career as a Sheriff's Deputy reinforced those ideas and he no doubt learned the art of negotiation and compromise in being a peacekeeper. His willingness to put himself at risk for the good of the Group is both his greatest strength and his biggest liability. 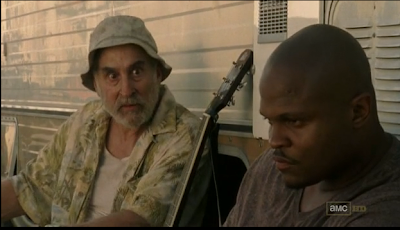 Rick quickly becomes the personification of the motto of the great state of Georgia: Wisdom, Justice, Moderation. 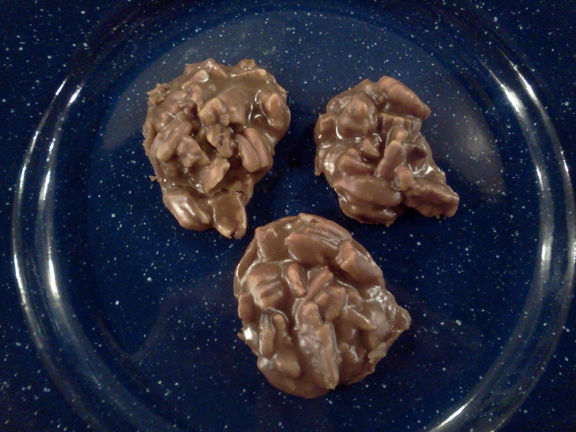 It is in that spirit that we present Pecan Pralines in honor of Grimes. Georgia is the largest grower of pecans in the nation with over 144,000 acres planted with trees. This enduring tree (Or Carya illinoinensis) can survive and bear edible nuts for over 300 years. This recipe contains only five ingredients and showcases this famous nut from the Empire State of the South. Prepare a cookie sheet by lining it with aluminum foil. Spray with cooking spray. Combine all ingredients (except pecans) in a large Dutch oven and cook and stir over medium heat or medium coals. Allow mixture to come to a boil, stirring OFTEN. Allow to boil for 6-7 minutes. Remove from heat and add nuts. Beat until candy becomes thick but is still glossy. 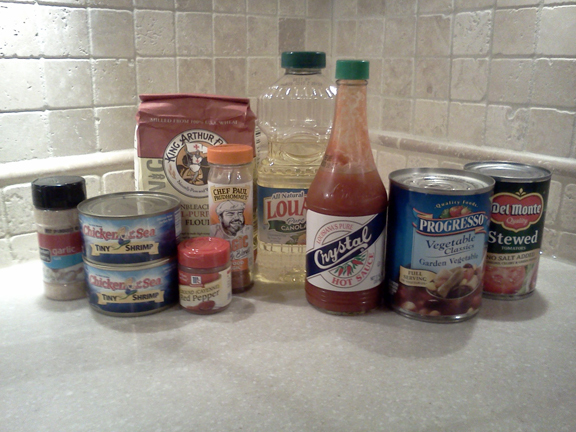 Drop quickly with tablespoon into patties. Allow to cool. Serve. 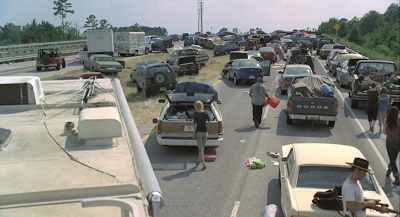 After narrowly escaping death at the Centers for Disease Control, Rick and the Group decide to head to Fort Benning in Columbus, Georgia; 125 miles in the opposite direction. They don't get far however, when a massive traffic jam of abandoned cars and a blown radiator hose on Dale's RV cause them to halt. Seeing the chance to scavenge for more food and water, the Group splits up on the highway. (Mistake....HUGE mistake). While scavenging, the Group has their first run in with a wandering herd. 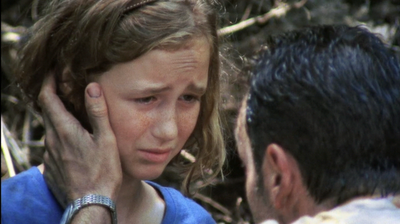 In the confusion, twelve-year-old Sophia Peletier flees into the woods and gets separated from the Group. Realizing he is in over his head, Rick sends for Daryl Dixon, the tracker and hunter of the Group. Despite Daryl's best efforts, darkness falls without the return of Sophia. Though they have more supplies, they are weaker with the Group split in the search. Dale, Carol, Andrea and Shane stay with the RV and work on clearing cars from their path. With their comrades scattered, Dale would likely have come up with something delicious, fast and filling for their return. A new day to begin the search again does not bring success. 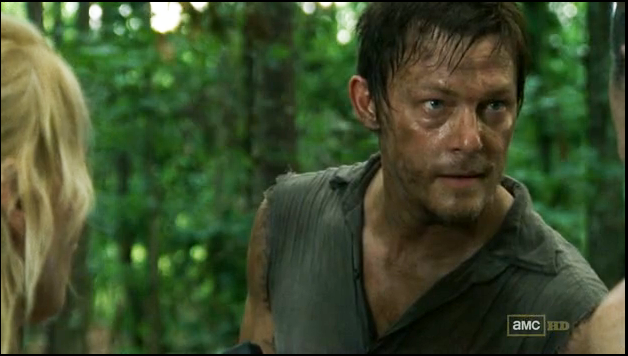 Carl Grimes is shot by a hunter as he stops to admire a deer in the woods. Hopefully your Group will not meet with such extreme misfortune. And hopefully, your children will be more adequately supervised. 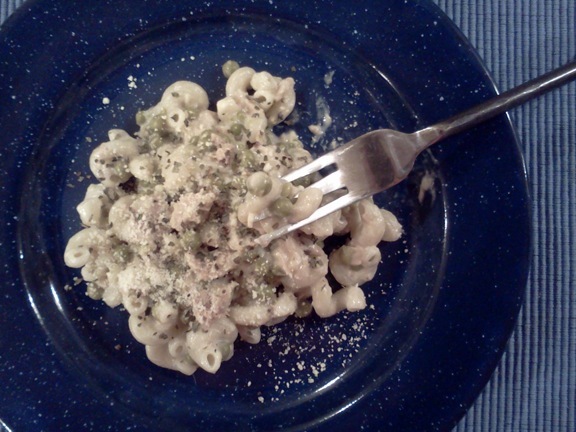 When your Group needs a fast meal after a scavenging excursion or a stressful herd attack, Alfredo Tuna Pasta with Peas will do the trick. 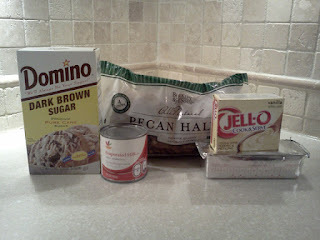 A shout-out for this recipe goes to the charming and talented Kat of the Reedus Renegades Survivor Group. Another easy recipe with only four ingredients and water. And when the dead rise...don't let Short Round muck up the trail. Boil 2 quarts of water over stove or hot coals. 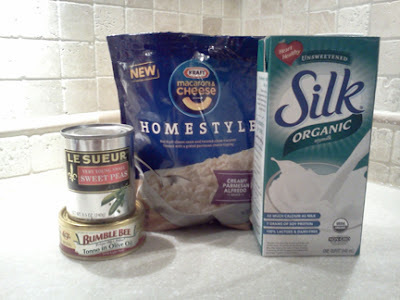 Cook pasta according to package directions but omit butter and replace dairy milk with soy or almond milk. 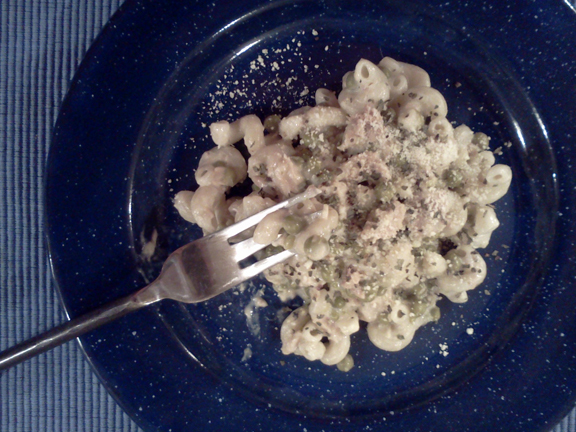 Drain oil from tuna and using a fork, flake into pasta mixture. Open and drain sweet peas and stir into tuna-pasta mixture. Sprinkle with packet of parmesan cheese and serve immediately. The next morning finds our brave Group attempting to shake off the red-wine-induced hangover from the previous night's celebration. Hangovers, especially those caused by red wine (which contains high levels of congeners) have no true cure. 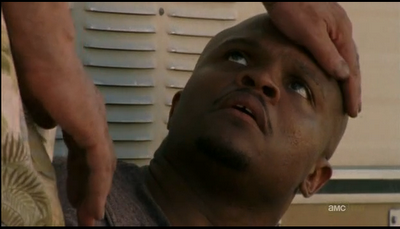 However, T-Dog promises Glenn that his high-protein breakfast will help. After breakfast, the Group learns the devastating truth. The CDC is running out of power. The nation's other Disease Control Centers have also fallen. And most terrifying of all: the facility will self-destruct as a last-ditch measure to prevent the release of the deadly disease samples they store. They convince Dr. Jenner to release them from the underground stronghold, although the topside exits remain sealed. The Group ends up blasting their way out, with only moments to spare before HIT explosives bring the monstrous facility down to rubble. Jacqui is lost when she elects to stay behind with Dr. Jenner. And once again, our Group is adrift; enjoying only one day of peace before losing it again. Though their hope is fading fast and they nearly got blown to bits, at least they got to start their day with a good breakfast. 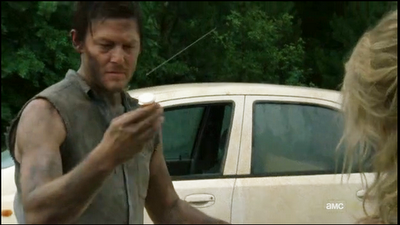 The WDSCB has no doubt that T-Dog's powdered eggs were delicious. He likely used dried herbs to add flavor. And cheese powder to create the illusion of an omelette. Be sure to make the Maple Syrup Muffins. After all, carbs must do something for a hangover. Don't forget to serve Tang....the orange drink that is good enough for the astronauts. And when the dead rise; keep an extra hand grenade in your purse. 1/2 tsp. Land O'Lakes Cheddar Sprinkles. 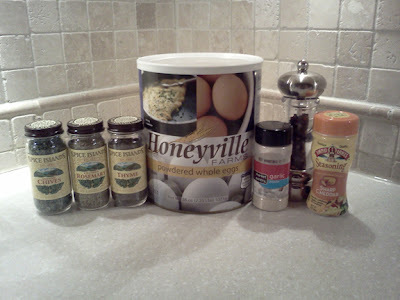 Mix Powdered Egg Mix, water and all herbs in a small bowl with a wire whisk. Let sit for a few minutes. Heat a skillet, coated with nonstick cooking spray, over medium heat. Pour in egg mixture and stir every few seconds with a rubber spatula (the same way traditional eggs are scrambled). Cook over medium heat, stirring occasionally for about 2 minutes or until softly set. Sprinkle with Cheddar sprinkles and serve immediately. Preheat oven to 400°. 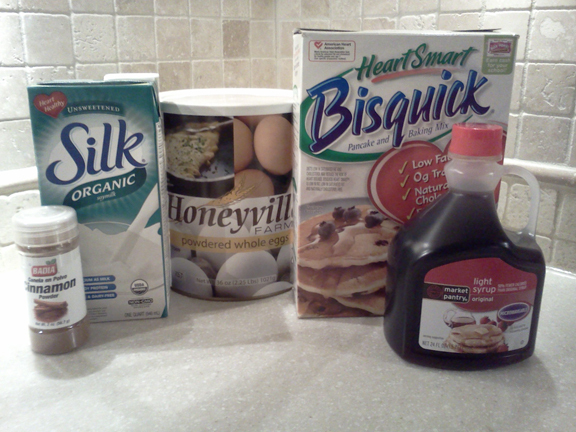 Mix all ingredients (except maple syrup) in a medium mixing bowl until blended. Stir in 1/4 cup of the maple syrup. Blend well. Spray a muffin tin with nonstick cooking spray. Fill muffin tins 2/3 full with batter. 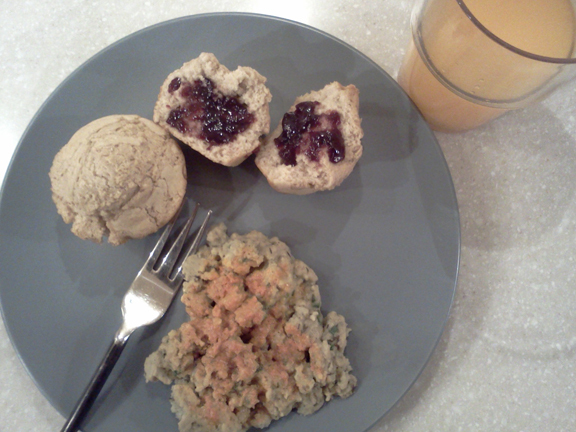 Drizzle remaining 1/4 cup of maple syrup over muffin batter, dividing evenly. Bake for 15-17 minutes or until the tops spring back when lightly touched. Serve hot with jam or jelly if you have it.